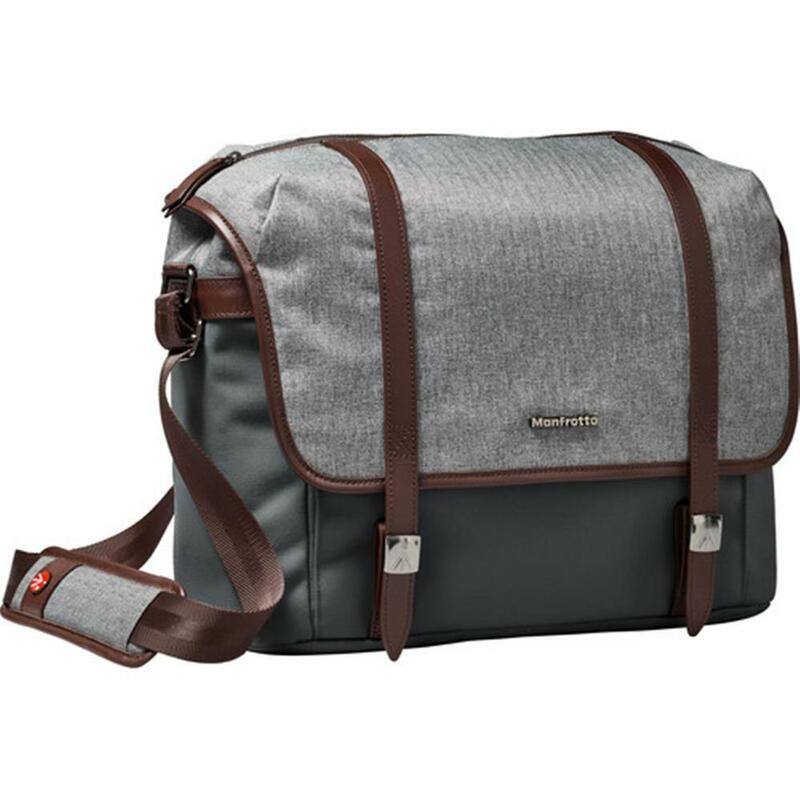 The Manfrotto Windsor Medium camera messenger is a stylish design classic that's perfect for carrying your gear. 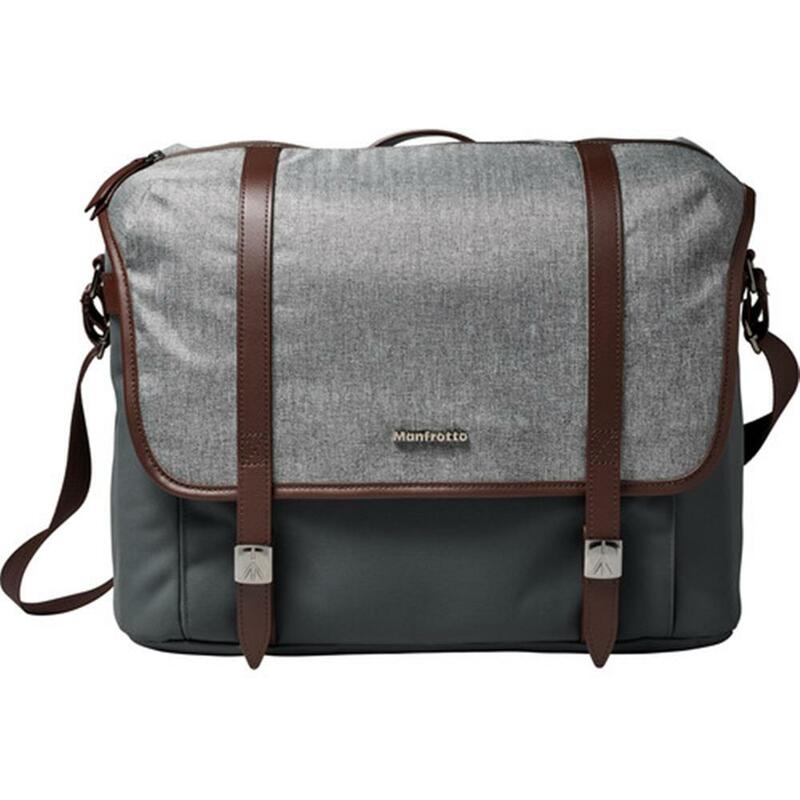 With its vintage look, genuine leather trims and elegant fabric combination, this medium messenger is the perfect choice for your field trips. The inside of the bag is enhanced by a beautiful ?tartan? lining pattern, paying sophisticated homage to timeless, British style. 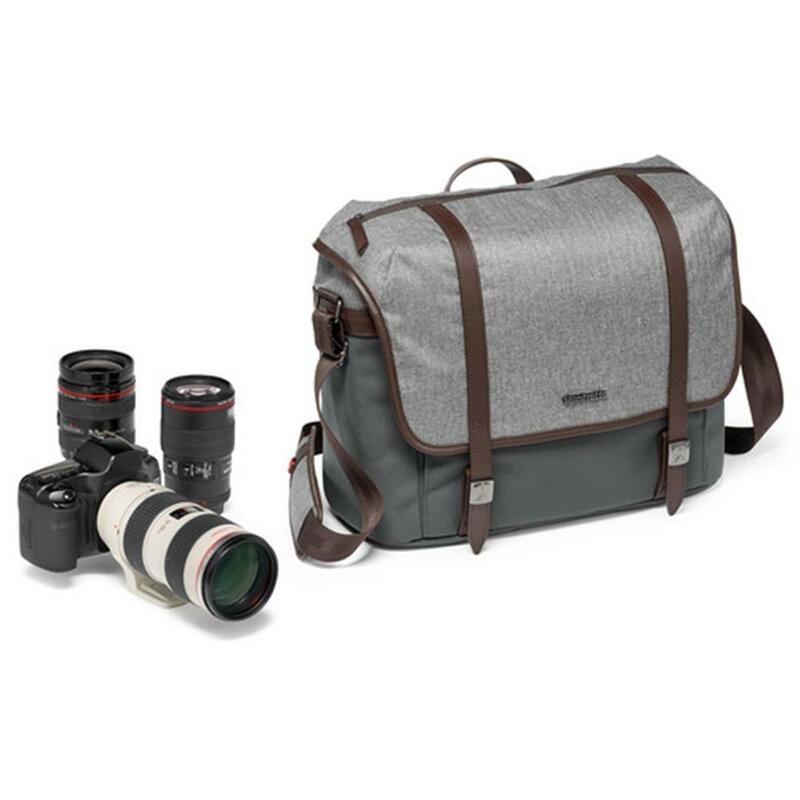 It fits a medium DSLR with up to a 70-200 f/2.8 mm lens attached and 2/3 additional lenses. 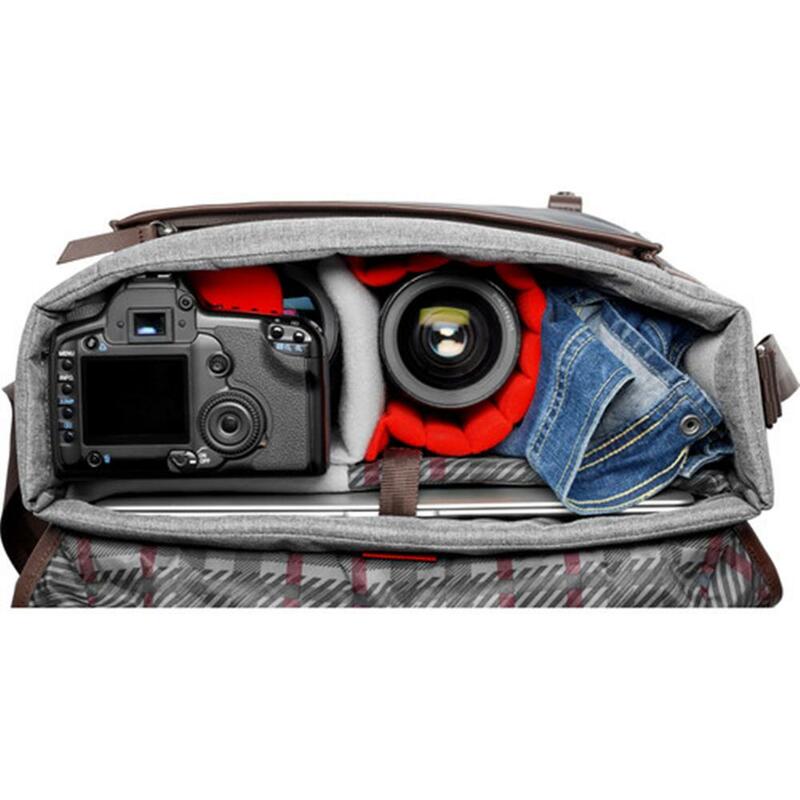 It can fit also a Premium Compact System Camera with multiple lenses. 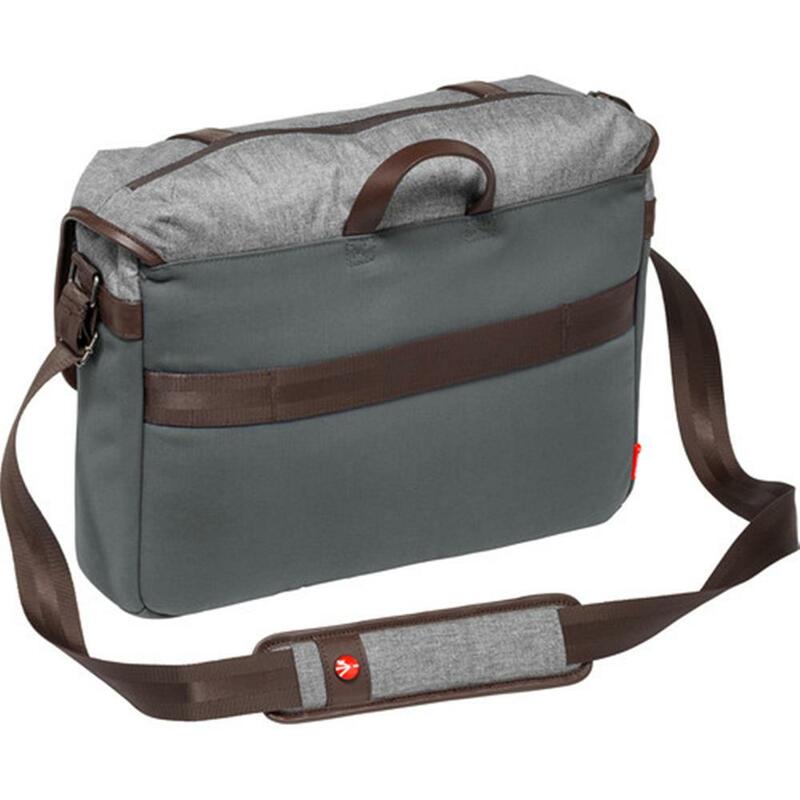 A 15" laptop is kept safe in its own padded compartment. 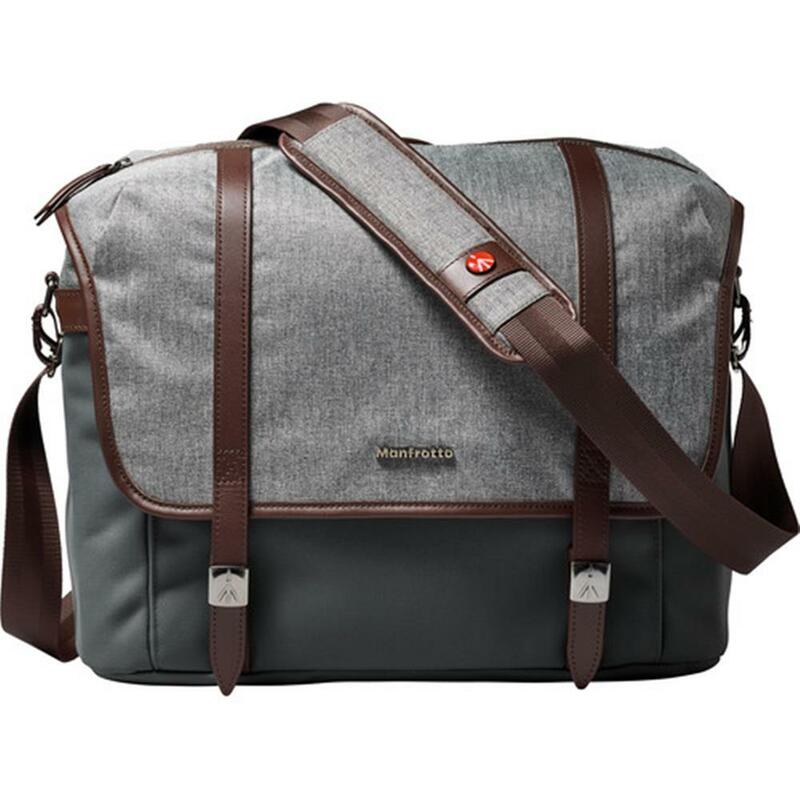 The Manfrotto Windsor Medium Messenger is engineered with Manfrotto Protection System to internal dividers providing maximum protection for photographic equipment and electronic devices; lenses and accessories are kept safe in the special protection areas at the heart of the bags. 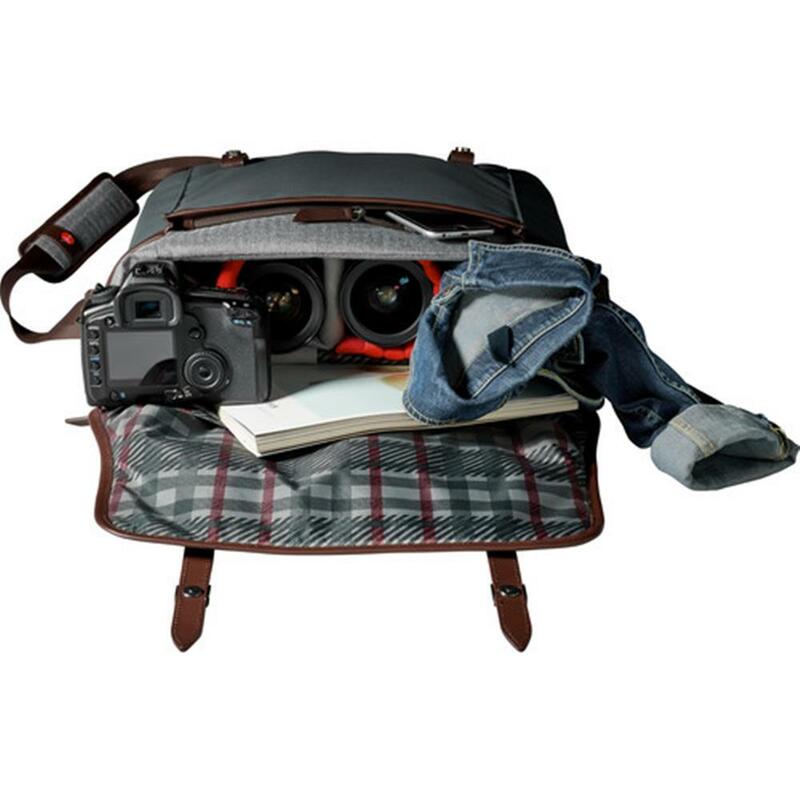 All personal items are safely stored in the inside and outside zipped pockets. 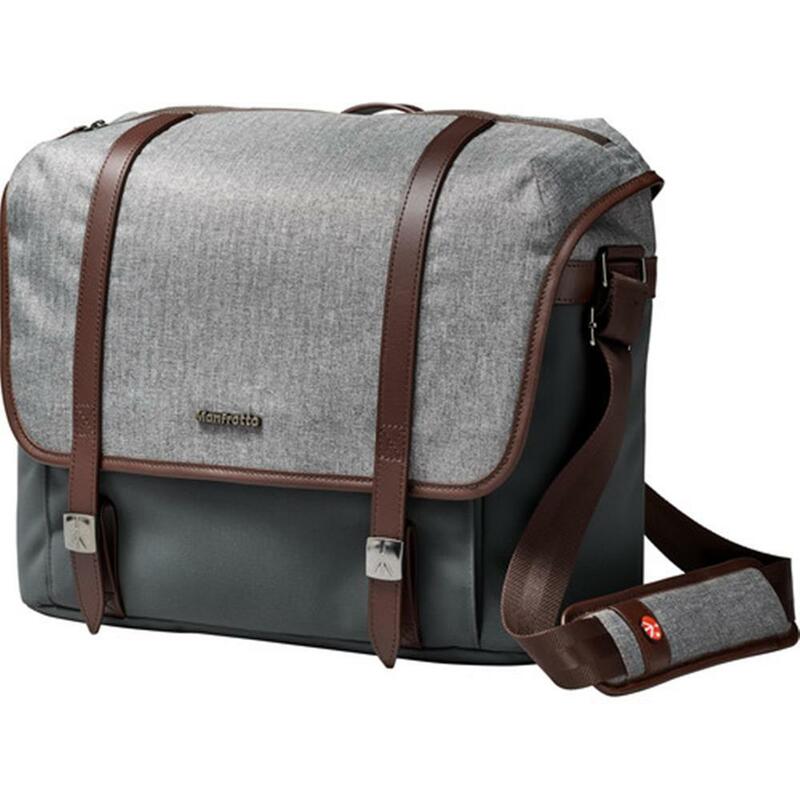 The adjustable shoulder strap and the shoulder pad provide additional comfort. 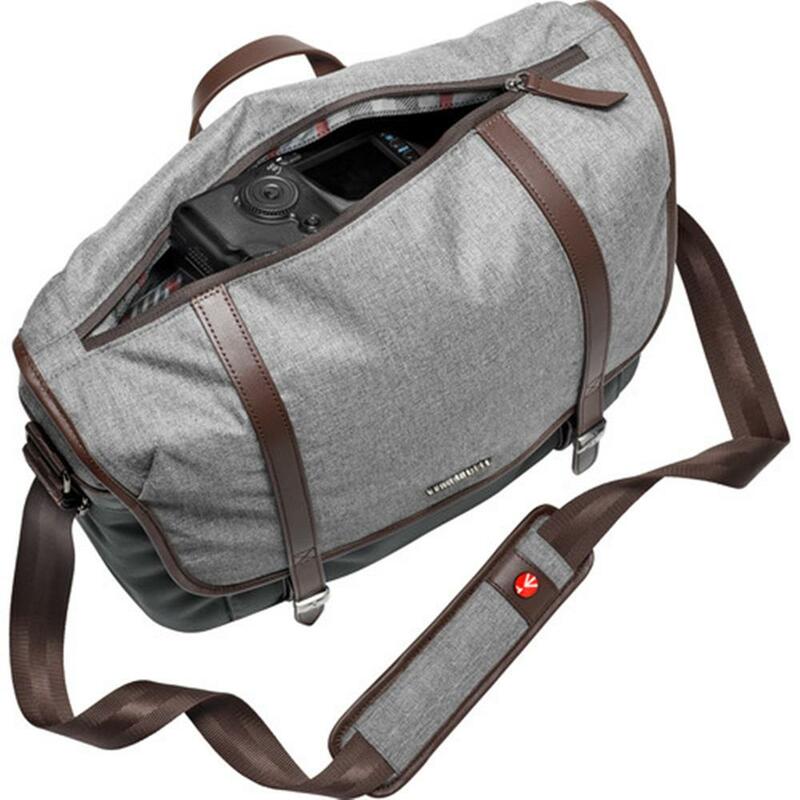 And if you need a quick access to your camera not to miss any shot, a zipped top opening gives you the possibility to access to your gear without opening the bag in the fastest way possible. External Dimensions (HxLxW): 33 x 42 x 15 cm / 12.99 x 16.54 x 5.91 in. 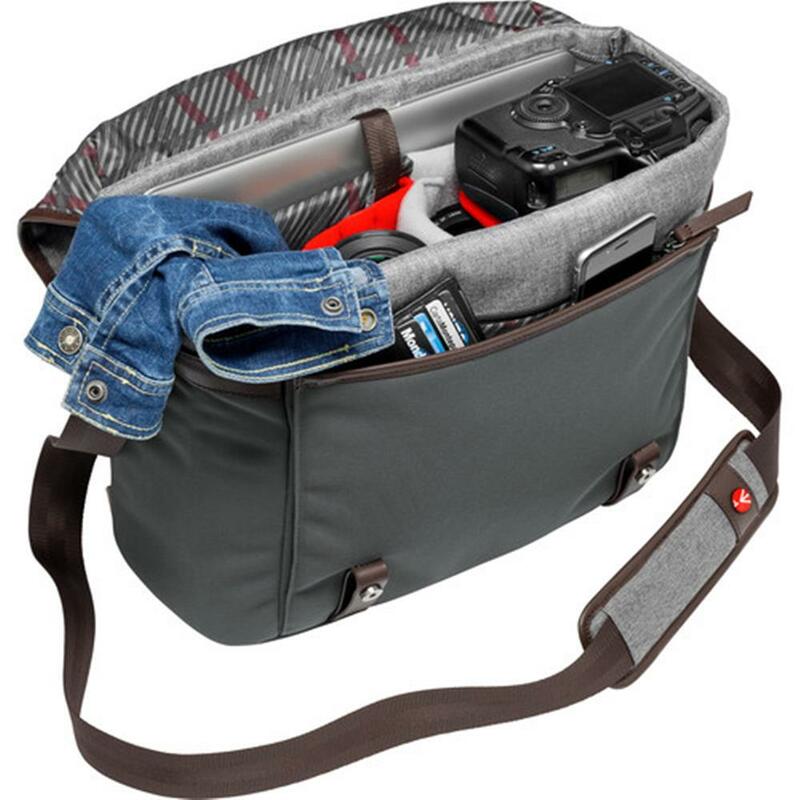 Internal Main Compartment Dimensions (HxLxW): 28 x 39 x 13.5 cm / 11.02 x 15.35 x 5.31 in. 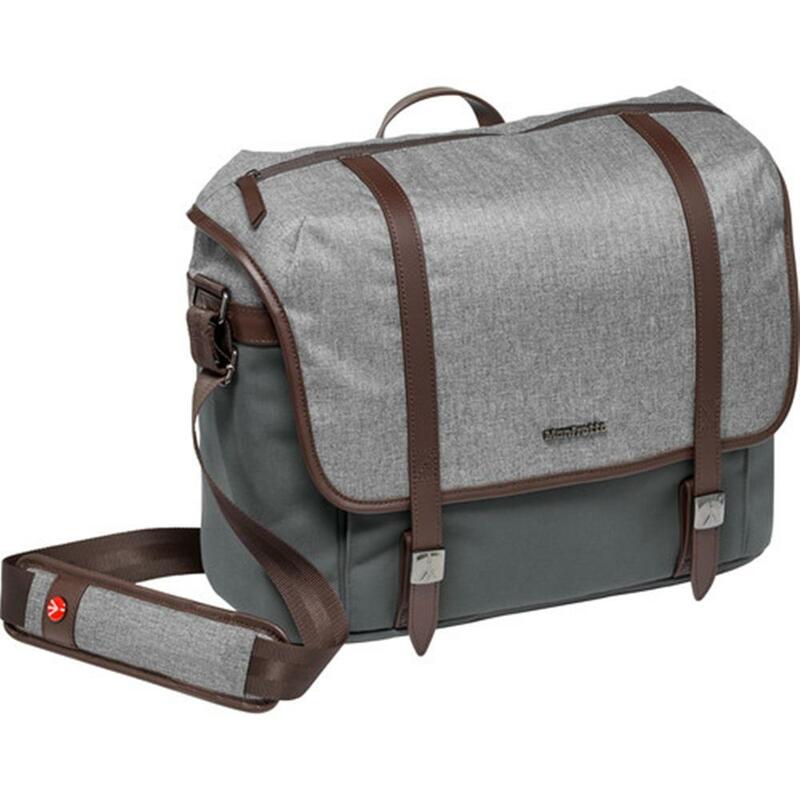 Laptop Compartment Dimensions (HxLxW): 28 x 39 x 1.5 cm / 11.02 x 15.35 x 0.59 in. 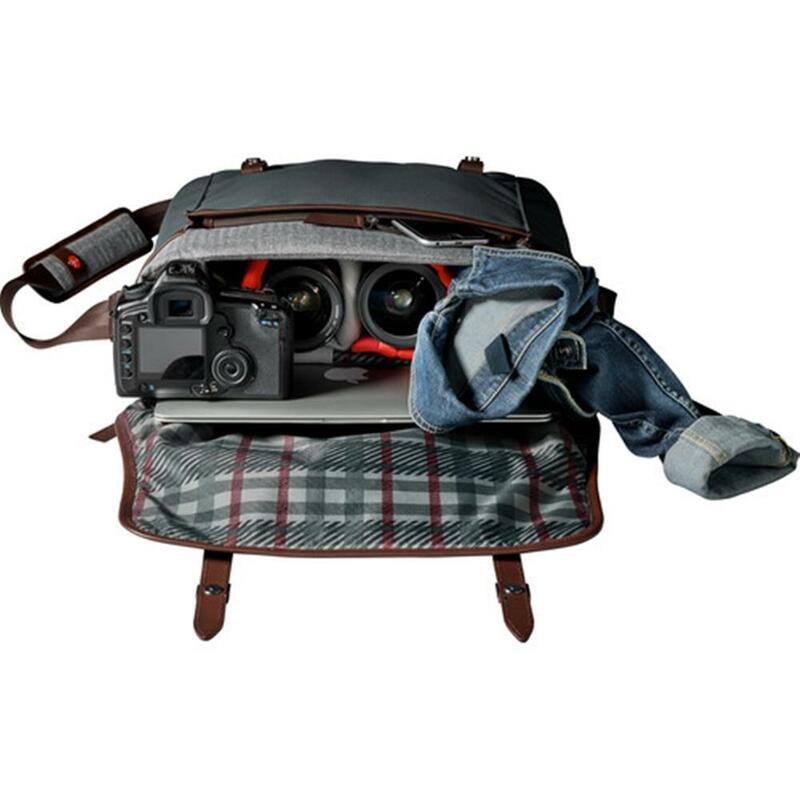 Camera Insert Dimensions (HxLxW): 28 x 39 x 12 cm / 11.02 x 15.35 x 4.72 in. Weight: 930 g / 32.8 oz.